LaCrosse Trapline Hip Boots are heavy-duty meant for rugged use. Extremely durable, these hip boots also provide warmth and comfort by way of their wool-felt liners and removable EVA footbeds. 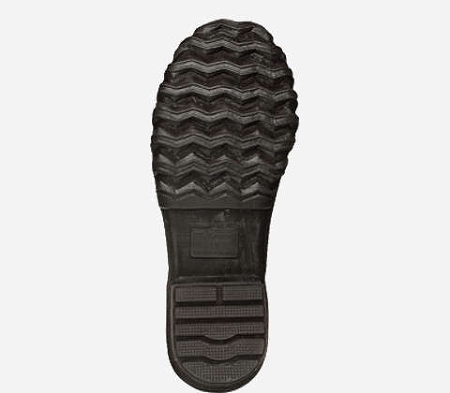 The Trac-Lite outsole provides all-around traction in wet conditions. 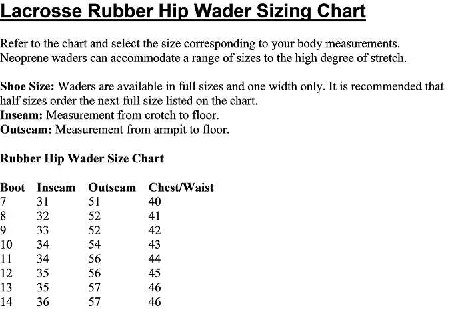 Lacrosse resistant and scent-free premium rubber offers 100% waterproof protection in these popular waders. An adjustable internal calf harness ensures a proper fit. Traction comes from the self-cleaning chevron-cleated outsole that won’t track mud or dirt. Abrasion-resistant scent free rubber offers 100% waterproof protection. Lacrosse premium rubber compound has a high tensile strength, which means greater tear-resistance and durability. Wool-felt lining for additional warmth and comfort in cold water conditions. 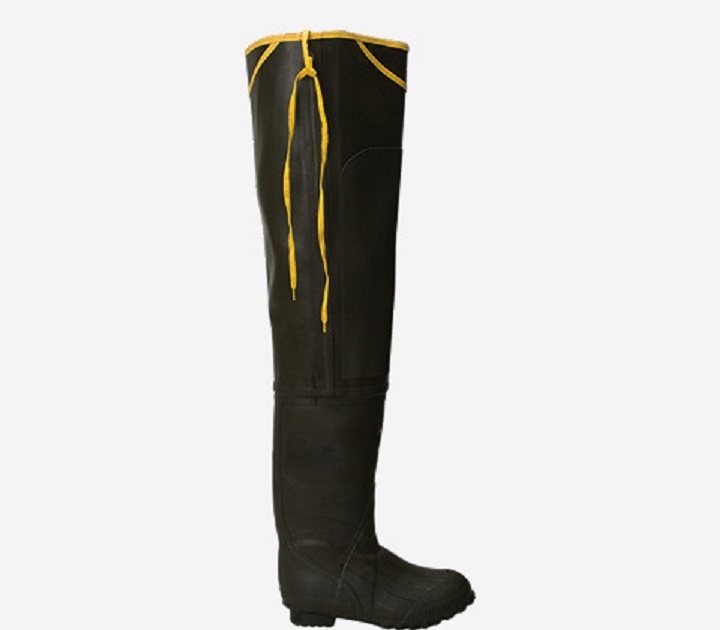 Lacing system keeps boot securely up at the waist. Removable EVA footbed adds cushioning for all day comfort. Trac-Lite outsole delivers outstanding all-around traction in mud, snow and other loose terrain.